The members of Konya Bar Association who are the first victim of the systematic crackdown against lawyers within the scope of post-July persecution were sentenced range to 2 and 11 years after 16-month arrest. Only five days after the failed coup attempt, on 21st of July 2016 detention warrant issued for 45 members of Konya Bar Association including the president (of the bar) Fevzi Kayacan and 20 lawyers subsequently, have been arrested. At the hearing dated 2/8/2017, prosecutor declared his opinion as to the accusations and asked 38 lawyers to be convicted of terror-related crimes and seven lawyers to acquit. Today (25/10/2017) Konya 6th High Penal Court, sentenced 20 lawyers (including former president of the Konya Bar Association Kayacan) range to 2 and 11 years imprisonment. Fevzi Kayacan, Former President of Konya Bar Association was sentenced to 10,5 years. Mr. Kayacan is under arrest since July of 2016. He resigned from the presidency of the bar after getting arrested. İbrahim Bakım, Ramazan Arı, Mehmet Balta, Orhan Özkavak, Muhammed Tahra range to 2 and 4 years imprisonment. The 20 Members of Konya Bar Association were sentenced range to 2 and 11 years only because of doing their profession with integrity. The court also decided to remand lawyers Fevzi Kayacan, Berat Alper Kösterik, Erhan Şahin, Osman Buğur, Ahmet Bal, Mehmet Yıldırım, Mehmet Şimşek, Özgür Solak despite they have been under arrest for 16 months. 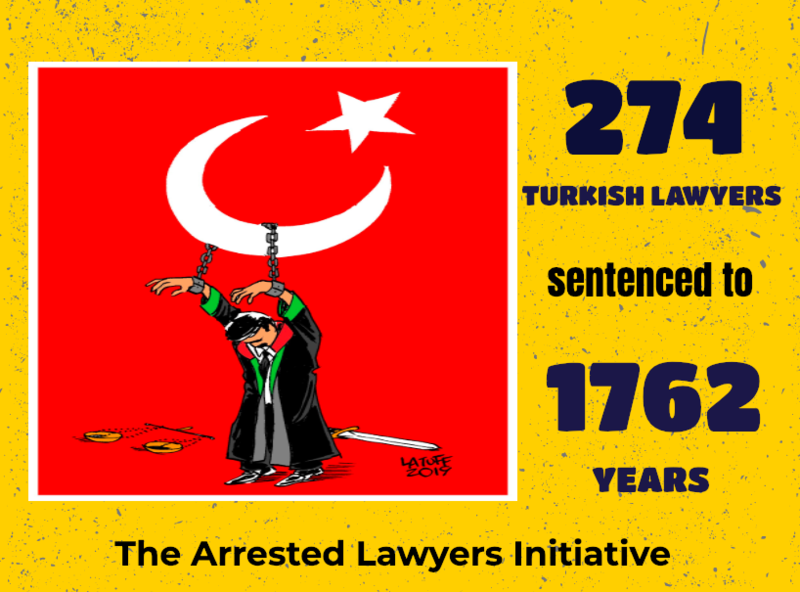 So far, 59 Turkish lawyers were sentenced to long imprisonment. Erzincan 2nd High Penal Court sentenced lawyers Cemalettin Ozer and Talip Nayir who are (respectively) former president of Erzincan Bar Association and former board member of association 8 years 9 month and 10 years, Erzurum 2nd High Penal Court sentenced Mehmet Güzel who is former president of Erzurum Bar Association and 4 other lawyer range to 1 and 13 years, Eskisehir 2nd High Penal Court sentenced 11 lawyers to range 4 to 12 years. Sivas 2nd High Penal Court and Adana 11th High Penal Court sentenced lawyers to ranging from 3 to 9 years imprisonment with the charge of being the member of the armed terrorist organisation.